Deezer is a music streaming service, mostly popular within European countries. Like Spotify, it has a large music repository, and offers both free as well as paid subscriptions to its users. Of course, the free version has its limitations, and certain features have been limited only to the Premium users of the service. The service provides apps for both iOS and Android platforms. Deezer++ is a tweaked version of the original Deezer iOS app that removes all the limitations imposed on the free users, and unlocks all premium features provided by the service. Being a tweak, this app is certainly not available on the App Store, so ideally you’d have to jailbreak your iPhone or iPad in order to install the app from third party sources. But there is a way to get the tweaked Deezer++ app installed on non-jailbroken iOS devices as well. 1.1 Is Deezer++ safe to install? Build Store is a third party app repository that allows users to install apps that are not available on the App Store. Since Deezer++ is present in Build Store, you can directly install the app on your non-jailbroken iOS device, without using a computer. Build Store uses a paid subscription-based model, and costs $9.99 per year for one device. Note: Deezer++ is a tweaked app and has the same Bundle ID as that of the official one. As such, you can’t keep both the original and tweaked versions of the app installed simultaneously on the same device. You must uninstall the original or previous version of Deezer++ app in order to install the updated version. Uninstall the official version of Deezer, or any previous version of Deezer++, if you already have it installed. On your registered iOS device, open Safari and navigate to the Deezer++ app page. Deezer++ will be installed on your registered iOS device. 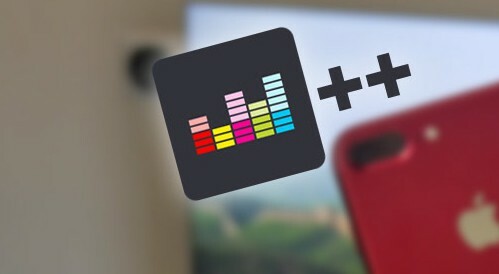 Note: Installing an updated version of Deezer from the App Store may overwrite the tweaked version; hence, you may lose all the tweaked features provided in Deezer++. Is Deezer++ safe to install? However, Build Store does not claim any responsibility for any action taken against the user by original app developers (for example, disabling of account), for the use of tweaked apps. Disclaimer: The article is only intended as a knowledge base for installing Deezer++ on non jailbroken iOS devices. 7labs may not be held responsible for any violation of the terms and conditions, as laid out by the original app developers.